Trae Crowder is a redneck, a liberal redneck. 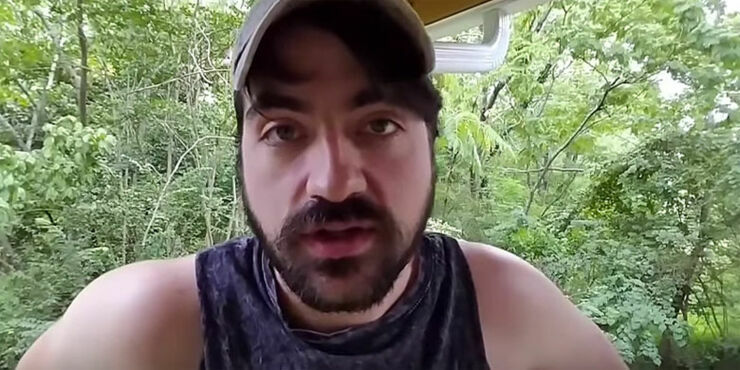 In fact he is the Liberal Redneck, a comedian who likes to make videos where he rallies round topics he think rednecks should support rather than condemn. He's previously voiced his disdain for the transphobic attitudes and the anti-LGBT laws in North Carolina and Mississippi. In his most recent video he's turned his attention to the redneck's attitude towards Black Lives Matter. He notes how mostly they've been against the movement, which he considers strange. Because the way he sees it is it's mainly been framed as Black Lives Matter versus the police. So when did rednecks start liking cops? Rednecks and the police are natural enemies, notes Crowder. Just look at TV, shows like Cops, which always features rednecks getting busted, or the classic The Dukes of Hazzard. So why don't they support the BLM movement? Well, he knows why, but he doesn't say it explicitly. Instead he ponders what rednecks would do if the cops started busting their heads open for resisting arrest ("One of our favorite pastimes" notes Crowder) or they were murdering rednecks in front of kids because they had a gun in the truck ("Which we always do. "), just like what's been happening to African Americans. He then wonders why they've failed to empathise with Black Lives Matter, before stating that, actually, he doesn't really. "I don't wonder, nobody does, because everybody knows the reason and that's sort of the whole problem." Sometimes using humor to get an important message across is very powerful. This is one of those times.